Someday I'll find a way to write a post that is not a cobbled together collection of captions, and shows I actually do have some thoughts in my head. I do, I promise, I do! But until then, a little late, I wanted to share some of the Valentine's love around here. We've had these little mailboxes up all month. I found them in the dollar spot at Target, and the kids had fun decorating their own with foam things we already had around. Everyone's has their name on it, except J's. L. ripped one of the "D's" off, perhaps to more accurately represent his name for his father?? The idea was to have everyone write happy little notes to each other and share them all month long. In practice, that meant me trying to write something nice for each kid every day, but only succeeding about two times a week. N. enjoyed putting little scribbles and sticker projects in for each person. They really did enjoy seeing the flag up and getting some mail. Looks like J. has something waiting for him in his. I made the kids pose for a Valentine's shot, since we're always a little light on candids from February when it comes time to make the photo calendar for Grandma and Grandpa. This is the best one. Weepy and emotional for all kinds of reasons and none at all these days. Particularly thankful for these Valentines of mine this year. Sweetest boy in all the world. Makes everyone laugh by throwing himself to the ground. Figured out how to say "no." It's still cute, for the moment. How can I stand for him to get ANY bigger? That's it. 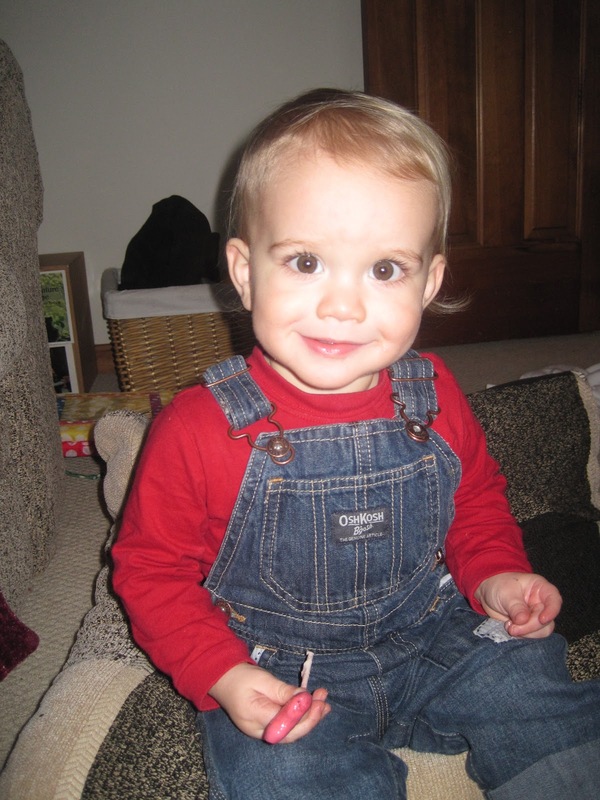 Overalls until he's 12. Recently told O., who was being uncooperative, "You are breaking my heart!" Learning a routine in ballet class to the ditty "Under the Sea." Even cuter than you think. Who's this kid? 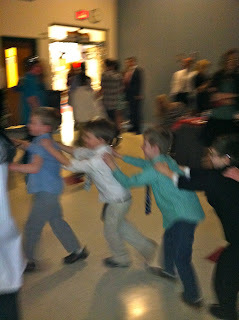 Conga dancing at the mother/son dance at his school. in the dust to show off their "moves like Jagger." Great night to be the mom of a boy. Will probably keep my corsage forever. No recent photos of J., my forever Valentine, except for ones with closed eyes the kids took with my phone. Our Valentine date this year? Pleading with the kids to eat some dinner so we could in good conscience provide them with a cupcake before J. and O. had to leave for the Cub Scout fire station tour. Romantic, no? Still, this man, who already took me out to dinner AND had flowers sent for our anniversary two weeks ago, took his son to Kroger at eight o'clock at night to pick out flowers. Love him. O. presented N. and I with roses and and a pink bouquet right before bedtime. Made up for the fact that O. made handwritten Valentines at school for everyone in the family but me. Sort of. Mini-marshmallows are a pretty hot commodity around here. L. eats them by the fistful, O. needs them for his two marshmallow shooter guns, and N. is always up for making a pan of rice krispie treats. I'm not sure why I thought we needed another way to have them strewn all about the kitchen. But, the recent project we worked on using them was a much bigger success than I anticipated. One of the very first things I pinned to a board on Pinterest was a picture of structures made with mini-marshmallows and toothpicks. I went back to the pin, and tried to follow it to its source. Unfortunately, it led nowhere, so I can't link you to my inspiration, but the point is, I got a box of toothpicks out for the kiddos, poured some marshmallows in a bowl, and let them have at it. 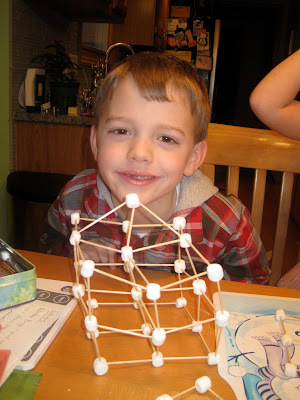 O. got really into the construction thing, after I demonstrated a couple of shapes for him. Along the way, we problem solved some structural issues, debating what would be the strongest way to build and to support the growing levels. We also discussed architecture as a career possibility, something that would combine his current love for drawing with an eye for building. 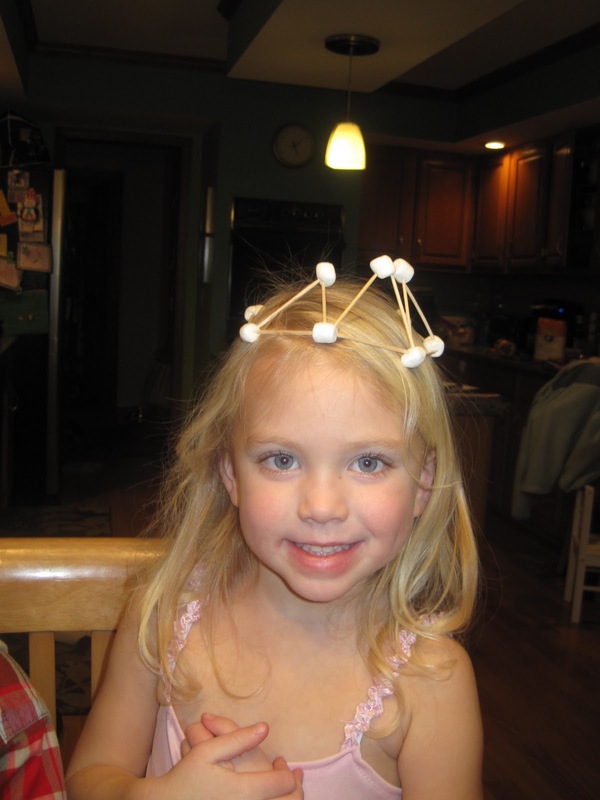 N., of course, decided to make a crown. Guess I should have suggested fashion design for a vocation, but I'm pretty sure she knows that's a step down from princess. 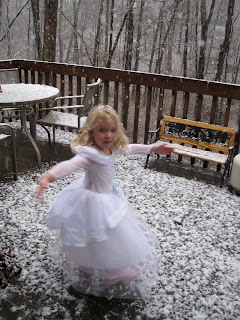 And she was already feeling more like a ballerina that day, as you may be able to tell. All I know is, they got along really well in the hour before dinner that day. And when L. disappeared with the bag of marshmallows, I'm pretty sure he only ate half of it. And...just in case you think my Pinterest projects are all aimed at the preschool and older set, here's a photo of a one I made for L. as a gift for Christmas. It's an I-Spy bottle, filled with rice and small odds, ends and trinkets from around our house. I've seen similar gadgets in toy catalogs at pretty high prices, and had thought it would be pretty easy to duplicate at home. Whether or not L. would actually use it to play I-Spy, I knew he would enjoy shaking it up. However, making it out of standard water bottle not only seemed less than aesthetically pleasing, I also wasn't sure I'd be able to find enough objects small enough to fit in the small opening at the top. So, when I saw this version, I became obsessed with finding a similar vessel to make my own version. The author of the blog where I found the idea mentions that she used a bottle from a specialty home store. I figured that was code for TJ Maxx or Home Goods, so I checked out both. I found a similar bottle, but it was made of GLASS. Not so good for my toddler to be chucking across the hardwood floors. I thought I was going to have to settle for a re-usable clear plastic water bottle I bought at TJ's instead. But then, on a separate trip to Home Goods, I found a whole four pack of the bottles (the brand name is Voss). Turns out, that wide lid actually conceals an opening the same size as a standard water bottle. That will teach me to get compulsive about a version of something that mostly exists in my head. Anyway, I was able to find objects that fit inside, and the project ended up working out pretty well. J. applied some Loc-Tite to the lid so that it would be at least semi-permanently sealed, and so far it has not come open. L. does enjoy using it as a musical instrument mostly, but the other kids like to look around to see what is concealed inside it. I don't think O. realizes I made it with their junk yet, because he keeps saying "Hey! We have a little dinosaur like that!" I'd like to say these projects are evidence that you can have fun with objects you just have lying around the house. The 10 plus dollars I spent tracking down bottles for the I-Spy would serve as direct contradiction to that, and I'm pretty sure we now need to replenish the cupboard with both toothpicks and marshmallows. But that's okay. I'm pretty happy with the experience of both these crafts. How about you? 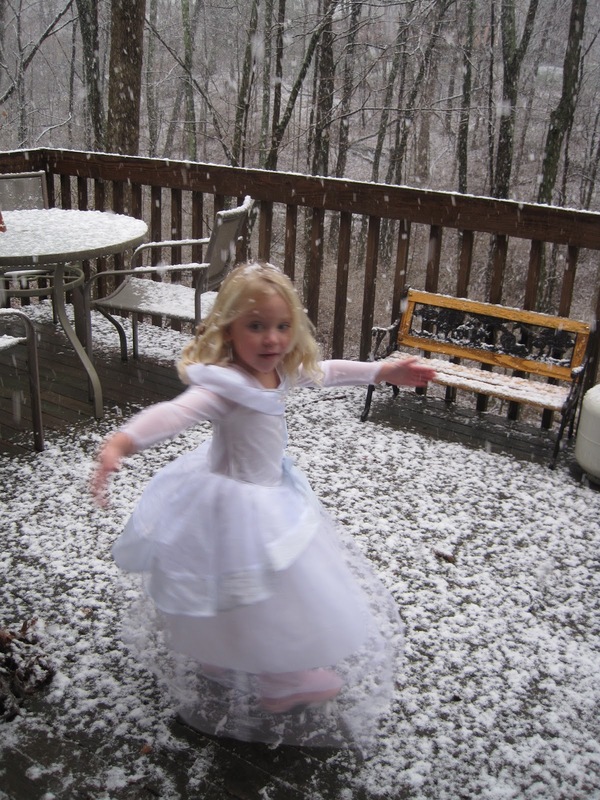 How do you keep your toddler entertained? What saves the hour before dinner in your house? If you have any Pinteresting to share, either head on over to mep's to link up with the Real Women of Pinterest, or let me know and I'll post your pictures here!